← Mega Millions – What Should Those Winners Do? During this time of year, it’s all about the New Year’s Resolutions. As you might expect, especially among personal finance bloggers, financial resolutions are pretty popular. However, your New Year’s Resolutions should be about more than just generically “saving more”, “spending less”, or “paying down debt”. What if you’ve been making solid progress in those areas? What if you are ready to take your finances to the next level? If you are looking for a way to financially level up, here are 4 strategies that can help you make better money resolutions. Stop looking at your money as the end game, and start looking at your money as the means to an end. Your money can make things happen. Figure out what you want that to be. Decide what you want your money to accomplish on your behalf. Once you know what you want your money to do for you, it’s a little easier to create a plan that can meet your objectives. Whether it’s helping others, travel, or living debt-free, view your money as a resource that can help you live your preferred lifestyle. Give your money a purpose that matters to you, and the resolutions to get you there will follow. Don’t just say you’ll do something with your money. Educate yourself about how money works, and how to make the most of it. From investing to managing your monthly cash flow, understanding how money works is an important part of getting it to work for you. Take the time to learn about how money works, and learn how it can work for you. You might be surprised at what you didn’t know. A little education — and the application of the things you learn — can go a long way toward helping you set and keep financial goals that yield good returns. We all need help sometimes. In some cases, all it takes is getting together with your life partner and working out what to do next. If you have a partner and/or a family, it’s a good idea to make your plans together. Get help setting financial goals, and working toward them. This unity will help you stay on track, and you can remind each other of what really matters. You might also need to get more professional financial help. If you are at a loss as to how to proceed, and if you want ideas for improving your finances, sitting down with a financial professional can be a good idea. He or she can point you in the right direction, and provide you planning idea and education to help you get on the right track. A good financial professional can help you direct your financial resources in a way to get better results. Too often, we try too hard to do everything all at once. There’s no need to do this. Sometimes, less really is more. When dealing with financial resolutions and changes to the way you do things, it makes sense to break it down. Pick one important thing to work on at a time. You can then break that one important thing down into smaller, actionable steps. When you focus on one thing at a time, you are more likely to succeed. Figure out what is the one big financial thing that you want to do this year that will get you closer to the lifestyle you want. Create a plan of action that will allow you to tackle that one big thing in small bits throughout the year. In 2013, I wanted to get things in order so that we could move if we had to (we didn’t, but we’re ready). For 2014, my goal is to work on my dividend/income portfolio. I’ve wanted to for a long time, but I’m finally doing it now. Decide what you want to work on, and then approach that goal with focus and a plan. You’ll more likely be in a better place by the end of the year. What do you think? 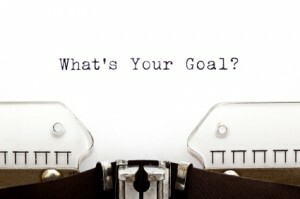 How will you take your financial goals to the next level in the coming year? Great tips Miranda! I’m planning to save more this year, so that I’ll be able to invest more of it when I start investing this coming May. I also decided to start a new site to have another source of income because I only get my money from my parents because I’m still a student. We plan on doing more of the same in 2014, except I’m going to contribute to retirement monthly instead of in one giant lump sum. All good suggestions, Miranda. I’d particualrly emphasises the need for education – it is really irritating to meet intelligent ad educated people who know very little about money. It isn’t much better to meet people who are less educated who know nothing about money and how it works. We live in societies where ‘no education’ really means ‘extermination’. If you ever get the chance Miranda, watch “Good Will Hunting”. I love pointing out that people can get an education, help and all the resources they need for free at a public library or online. And about planning – unfortunately people need to consider time into their “busy” lives. Everybody seems to have their heads spinning and are not going anywhere.